Back in college in the late ‘90s, I worked at the student radio station and discovered a community of like-minded enthusiasts. We rarely agreed on which bands were truly great but shared a different approach from your average music listener. I didn’t realize how good we had it until after graduation. Sitting in an office in the real world 15 years later, I still miss the weekly DJ slot and would love to revisit it. 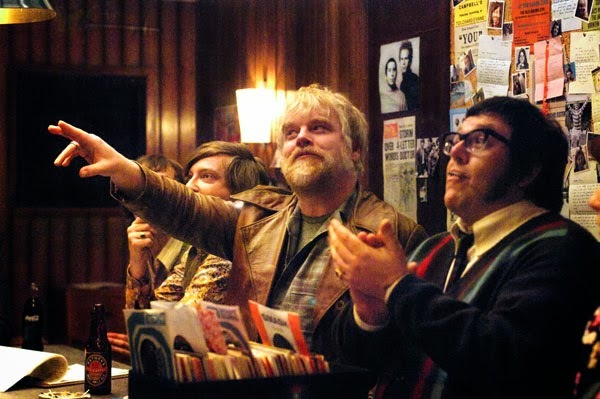 Philip Seymour Hoffman’s “The Count” expresses a similar sentiment near the end of Pirate Radio. The guys aboard their marine radio station are having so much fun that they don’t even realize how amazing it is. Set in 1966 during the heyday of rock ‘n’ roll, this story depicts passionate goofballs who love music and care little for what’s appropriate in mainstream society. They’re hardly perfect guys but share the excitement for communicating this new wave to the masses. This British film has an interesting history. It’s directed by Richard Curtis, who’s known mostly as the writer of Notting Hill, Bridget Jones’s Diary, and Love Actually. He also directed the latter, which was a huge success. 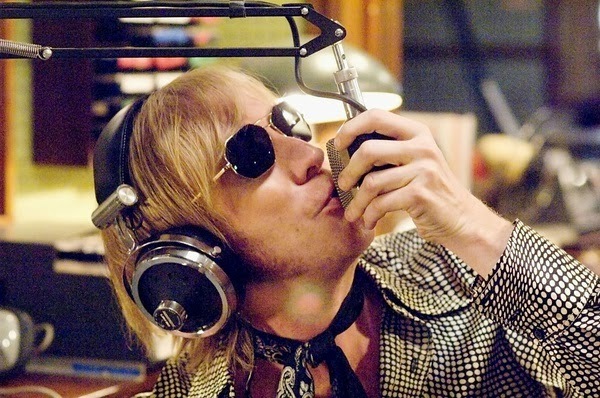 Pirate Radio is his second film, and it drew a limited audience under its original title The Boat That Rocked. Its American release had a new title and the removal of about 20 minutes from the original running time. This didn’t help the box office, and the U.S. marketing did a poor job in selling its charms. Despite having Phillip Seymour Hoffman and a large group of memorable character actors, the cast doesn’t include an obvious selling point. The plot centers on the radio station, but it’s more of a setting for a series of interludes. This episodic feeling is trickier to market within a short trailer, which ends up feeling more generic than the actual film. I’m a sucker for any movie that glorifies rock, and the soundtrack makes it an easy sell. Once The Count steps up to the microphone and the music blares from the speakers, I’m hooked. It really helps to have likable actors like Hoffman, Bill Nighy, Rhys Darby (Murray! ), and Nick Frost to sell the material. It’s easy to bypass a generic story when these guys are having fun. Our entry point into their world is 17-year-old Carl (Tom Sturridge), who arrives on the ship due to problems with civilization. He’s hardly a bad kid and seems out of place among the grizzled veterans, but it doesn’t take long to change that fact. How can he not like this place? 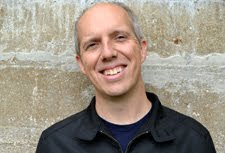 Through his eyes, we meet the different radio personalities who charm the kids while playing hits from The Kinks, The Rolling Stones, and many others. They’re signaling a new era of music, but the old guard might not be ready for it. The conservative authorities are embodied by Kenneth Branagh’s Sir Alistair Dormandy, who might be the least fun guy in world history. Despite some mustache-twirling from the acting veteran, this one-note character is pretty dull. He barks out orders to the painfully named Twatt (Jack Davenport) and keeps it hard to take anything seriously. There’s no need to make these guys such caricatures, and we get far too many scenes of their scheming. Even so, it’s just a minor blemish on the enjoyable tale. It’s fun to spend time with the DJs, and the characters’ pain from minor betrayals only lasts for a few minutes. They’re having a party, and we’re all invited. Why worry about decency when you can hear Mick and Keith, Jimi, Darlene Love, and Brian Wilson? Pirate Radio ends with a very strange Titanic-like sequence with everyone scrambling while the ship sinks. The Count even decides to go down with the ship like the captain, which leads to a ridiculous moment after he changes his mind. Without this sequence, Curtis might have lessened his production budget to a more reasonable number. Even so, this ending matches the freewheeling tone of the entire movie. It’s all over the map, yet it works because there’s plenty of energy and wit on display. The actors sell the material and make it engaging no matter how far overboard (pun intended) it goes. It’s the type of movie that plays well at home and should continue to build a following in the future. This review was part of The CK’s Not So Secret Santa Review Swap organized by Nick Powell at the Cinematic Katzenjammer. Pirate Radio was gifted to me by another blogger, and you should check out all the posts in this series. There's moments in that film that I enjoyed such as Philip Seymour Hoffman, Nick Frost, and Rhys Ifans as well as the music. Yet, I felt the film needed more work in the editing room as I was bothered by some of the interludes which I felt needed to be cut out. I was also bothered by some of the anachronisms in the music soundtrack. First off, the Grateful Dead hadn't released any recorded music during that time while the music of Cat Stevens and the Who's "Won't Get Fooled Again" wasn't out during that time. I also disliked the slew of album covers in the closing credits which included such crap as the Black Eyed Peas and Taylor Swift. I wanted to throw up at the sight of that. Did you see the U.S. version? I liked Pirate Radio overall, but I can see your points about the episodic feeling and the soundtrack having some gaffes. I wonder how it would play with another 20 minutes like the original cut. I didn't notice those specific album covers, but I guess they wanted some popular modern fare. I think they could have made much better choices, obviously. Actually, that was the version I saw. I was interested in seeing this when it was released. I've never gotten around to it. Looks like I probably should. I wouldn't say you have to rush to see Pirate Radio, but I had fun with it. It's messy and kind of obvious, but the cast is good and it never gets too serious. I was in the right mood for it on Christmas night after a busy few days. I did see this on satellite after it was in theaters. I remember being glad I saw it but disappointed that it wasn't stronger. Maybe a revisit is in order. I really didn't have any expectations, so that probably helped. I don't think it's a must to revisit, but I had a good time with it. Thanks for stopping by! It's a fun movie, and the soundtrack is great. It was much better than my gift from last time, The Big Year. Thanks for passing it along! It was on my radar, but I doubt that I would have checked it out anytime soon. I actually haven't seen this Richard Curtis film and that's a shame with loving "Love Actually" and "About Time" so much. Great review and thanks for participating in our Secret Santa Review Swap! No problem, Colin. It's been fun to check out some of the other reviews along with doing this one. I'm sad to admit that I haven't seen Love Actually and About Time, but I've caught some that he wrote like Notting Hill and Four Weddings and a Funeral. Thanks for participating, Dan! As much as I love this film, you point out plenty of flaws that are worthy of mentioning. Oh, you critic you. I did just snag it cheap on Blu-ray, so a re-watching is on the horizon. No problem, Nick. I appreciate getting a better movie this time. I had fun with Pirate Radio, despite some minor issues.